If you have not noticed in my make-up pictures, my eyebrows are almost non-existent. I had VERY blond hair growing up, and although my hair has become really dark, my eyebrows never did. I decided giving dying them a try. I was really apprehensive about the process, but I am glad I did it! It was fairly easy to use. 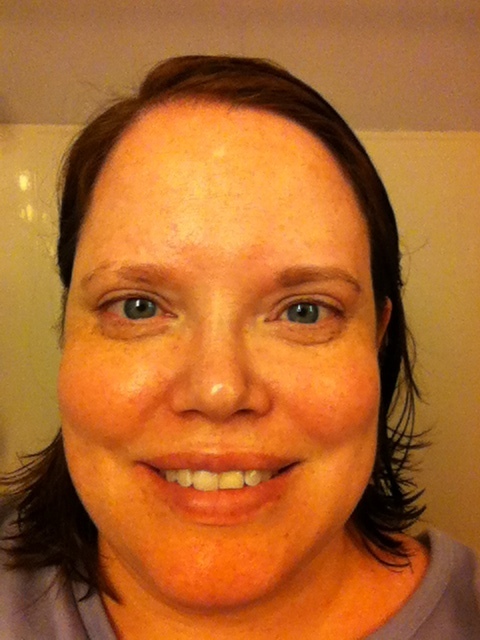 So, this is my before (no makeup at all) picture. 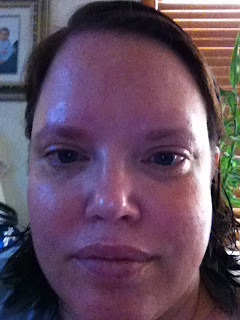 My eyebrows are fairly light. I really liked the light color they turned out to be. I felt it looked natural and matched my hair color well. It was very fast (took about 5 minutes total), and had easy to follow instructions! Godefroy also sent a Mascara Warmer. 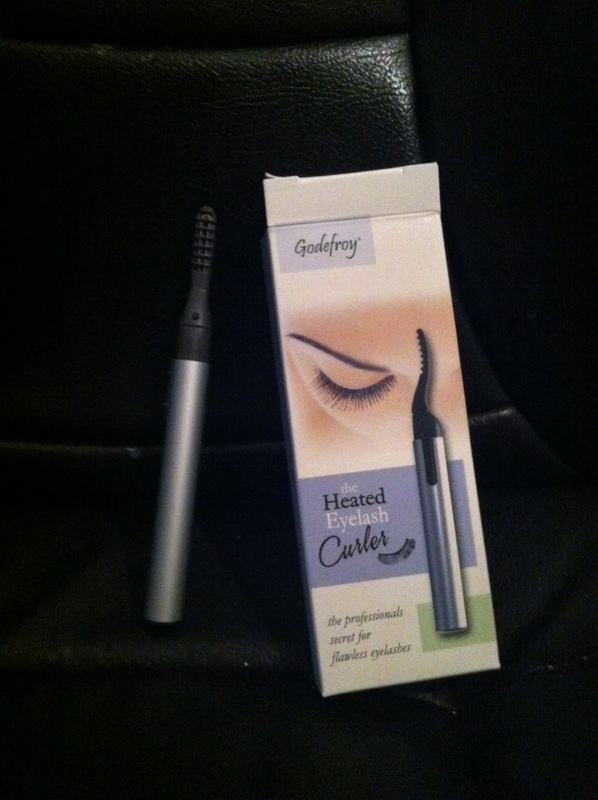 I really liked this product because it did make my mascara easier to use and it applied well. It is a nice thing to have in the bathroom to use while putting on your makeup. The final product we tried was a heater eyelash curler. 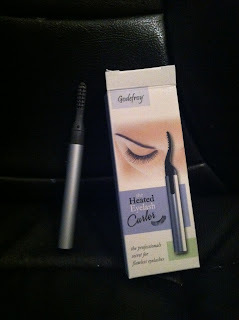 I hated the old clamp style eyelash curlers (even with the pads). They always hurt a little, and managed to pull out some eyelashes (I need all the eyelashes I can get!). 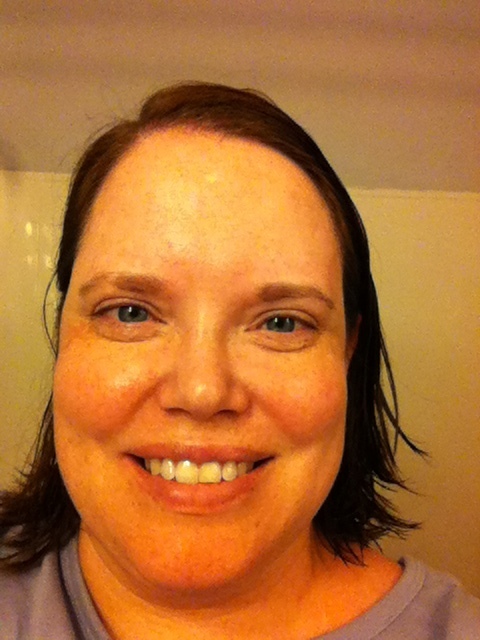 I liked this product because it was so easy to use, and it was really fun as well! 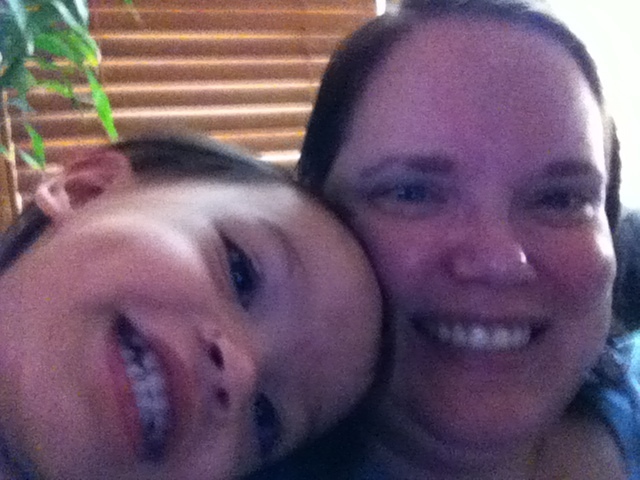 MamaBreak received Godefroy products so that we could adequately review it here on the site. We did not receive any other kind of compensation. As always, our experiences and opinions are our own. nice change to your brows! Luv the eye lash curler idea ! Wow very nice, made a huge difference. Wow, you can really tell a difference! Pretty cool!